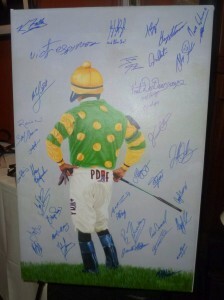 They provided an example on Monday night at a fundraiser for the PDJF at Frank & Dino’s Restaurant in Deerfield Beach, Fla. Prominent jockeys, trainers and racing industry officials were among approximately 175 attendees — most of whom stayed for dinner at $200 a plate for the PDJF. A preliminary count of the dinner receipts was more than $25,000, Carlo Vaccarezza, general manager and co-owner of Frank & Dino’s, said on Tuesday. 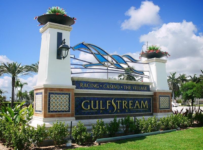 Proceeds of silent auction items were still being tabulated, said Vaccarezza, who also is a trainer, owner and breeder whose horses race primarily at Gulfstream Park. This is the third straight year that Frank & Dino’s has held a dinner/fundraiser for the PDJF. 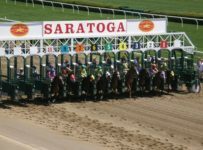 Vaccarezza estimates that Frank & Dino’s raised at least $60,000 for the PDJF in each of its two fundraisers, and that the amount was at least that large on Monday. 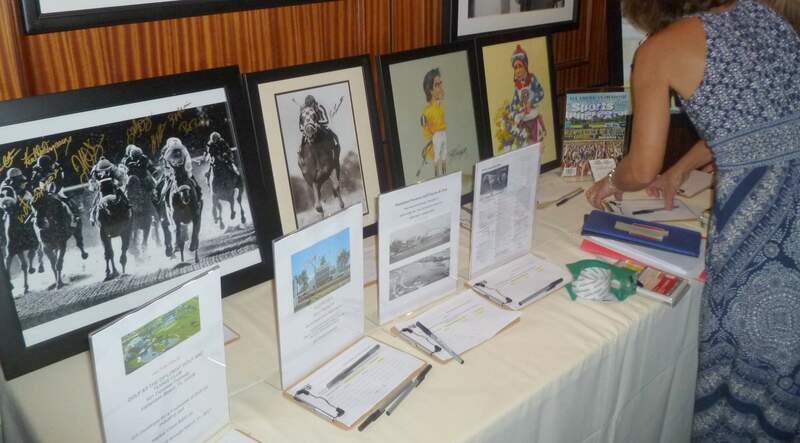 Auction items included photos signed by Eclipse Award winning jockeys Dominguez and John Velazquez, who also was at the event, and Victor Espinoza. 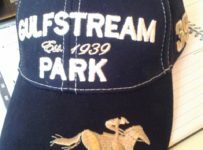 In addition there were halters worn in races by champion horses Mohaymen and Little Mike. 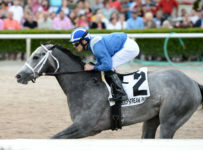 Vaccarezza bred and trains Little Mike, a horse owned by his wife Priscilla. 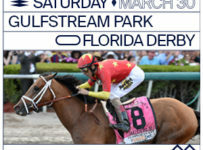 The proceeds from Monday night are for the PDJF, a 501(c)(3) public charity that provides financial assistance to approximately 60 former jockeys who have suffered catastrophic on-track injuries. 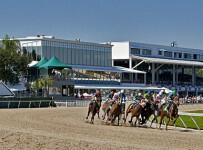 Since its founding in 2006, the fund has disbursed over $7 million to permanently disabled jockeys, most of whom have sustained paralysis or brain injuries. 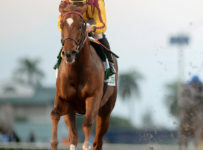 Dominguez, a three-time Eclipse Award winner, was the guest of honor on Monday. He retired in 2013 due to head injuries sustained during a spill in a race at Aqueduct on Jan. 18 that year. The soft-spoken and personable Dominguez declined to talk about details that injury, other than that he followed advise of doctors that he not run the risk of sustaining further head injuries. 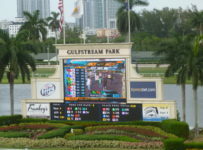 Dominguez does not receive any money from the PDJF, of which he is an honorary member of the board of directors. 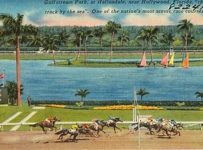 He noted that many of the jockeys who receive benefits did not achieve great financial success and/or suffered disabling injuries early in their careers. Meanwhile, the PDJF is asking for financial support so that it may continue to assist permanently disabled jockeys with their day-to-day needs. 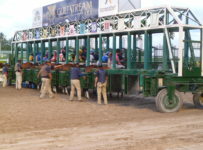 The medical needs of disabled jockeys are great and may include daily assistance from a caregiver. In today’s healthcare environment, costs continue to escalate – posing still more challenges to individuals who courageously test their limits every day. 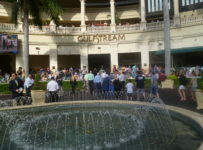 Among those attending were retired jockeys Angel Cordero, Jr., Jose Santos and Abigail Fuller and current jockey Eric Cancel. Trainers on hand included Joe Orseno, Michelle Nihei, Milt Wolfson and Chuck Simon. Tommy Trotter, the former New York Racing Association racing secretary also attended. 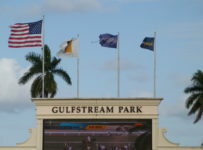 So did Bill White and Glen Berman, the president and executive director respectively of the Florida Horsemen’s Benevolent and Protective Association. 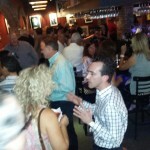 TVG analysts Caton Bredar, Todd Schupp and Paul Lo Duca the former major league catcher also attended. They were joined by the husband-wife team of radio hosts JJ Graci and Samm Graci. 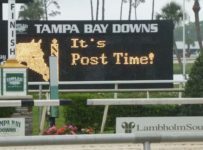 JJ, a former thoroughbred trainer, and Samm, a former thoroughbred owner, are hosts of “It’s Post Time.” The show airs daily from 3:00 p.m. to 5:00 p.m. Eastern on wdbfradio.com, an Internet station that has a large international audience of racing fans. 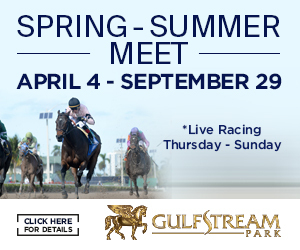 They are live at Gulfstream on race days and have taped programs on other days. 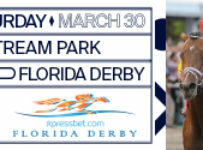 On Monday at the PDJF event they did interviews with Dominguez, Velazquez, Cordero, Fuller, Lo Duca and others that will air soon on wdbfradio.com. We will have more details of that schedule in an article tomorrow.